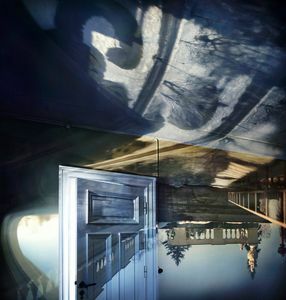 Milavida mansion had been standing sadly empty for years in my home town Tampere, Finland, when I started my new camera obscura project there in 2011. 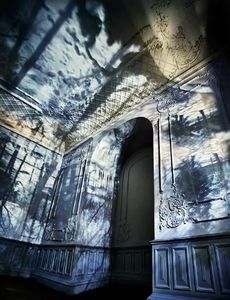 As I worked long days in the deserted silence of the house, its spaces began to exude its varied and wild history. 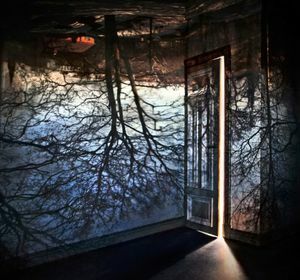 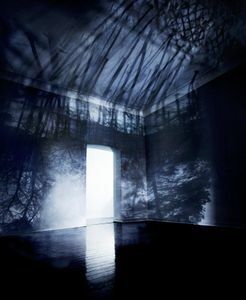 In the dim, spacious rooms my eyes slowly became accustomed to seeing the wraithlike reflections born in by the light which came into being as the outside and inside spaces dovetailed into each other. 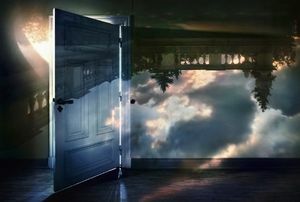 I repeatedly became aware of a sense of wonder: the blind photographer regained her sight! 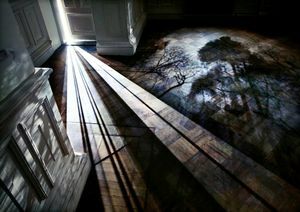 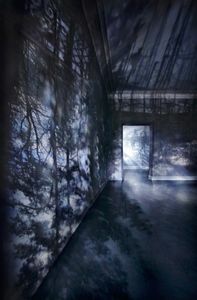 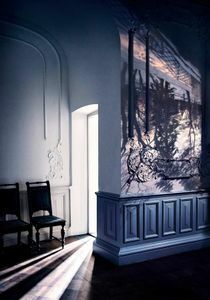 Eventually I had in front of my eyes that which I was seeking – I opened the shutter and let the light draw the image. 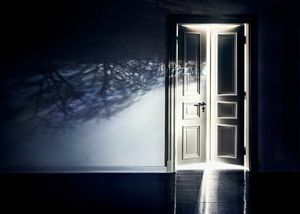 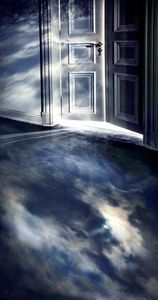 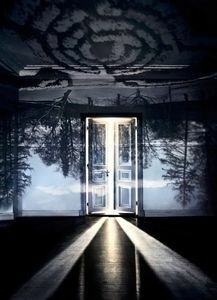 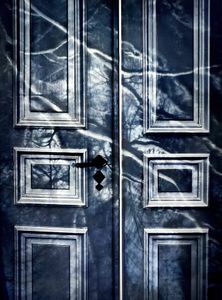 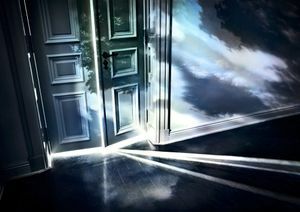 The pictures recorded transitional spaces, doors, thresholds and doorways which reflected my feeling in the face of a change in life and the unknown and my love of light and its capriciousness.